Heathrow is not my favourite airport but it was a lovely day to welcome friends to London. 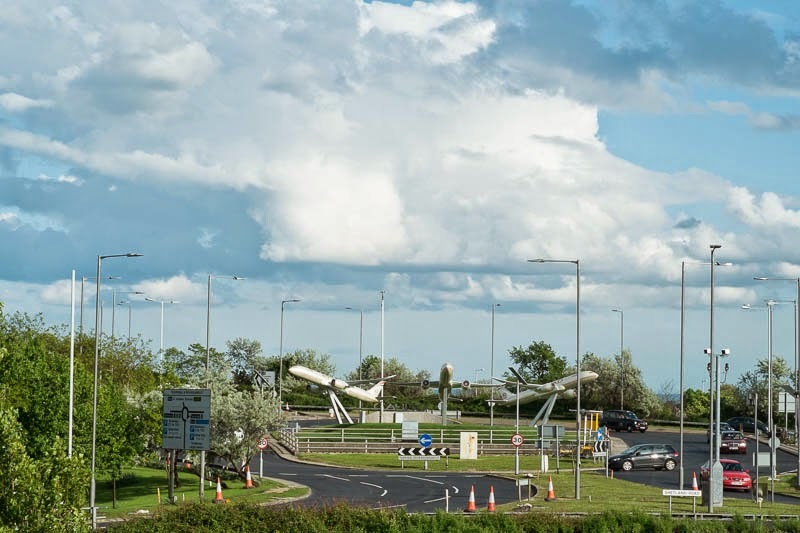 I don't often go to terminal four so it was an added bonus to see this roundabout with three Boeing 787's on it. A quick search and I discovered they were only unveiled last month, courtesy of Etihad Airways. Heathrow is definitely not my favourite airport either, and the shocking service from South African Airways compounds that. I was thinking that I recognise this roundabout but I think it might be that they have one in Gatwick too. Great photo! Always looked better with Concorde taking off. Not happy to hear the negative comments about Heathrow as I will be flying into that airport this summer. I will look for this roundabout though! Last time I was there, it was dark when I arrive and dark when I left. It looks like a pleasant roundabout. There used to be a concorde at heathrow, I was sorry when the plane went out of service and it disappeared from the roundabout!